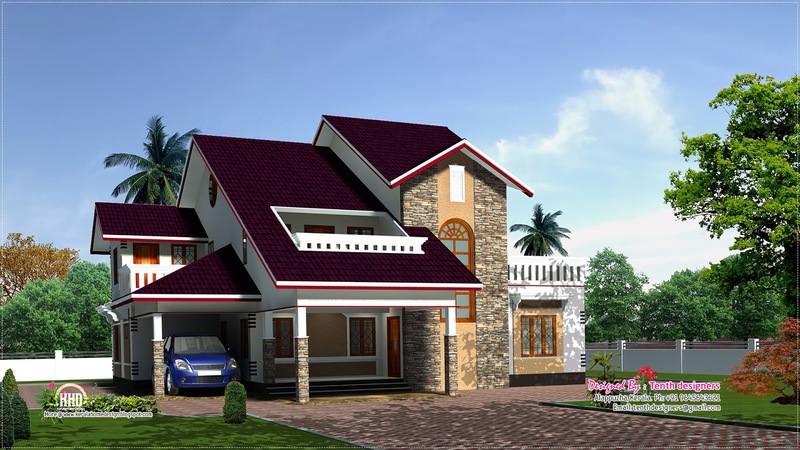 Beautiful luxury house elevation and plan of 3208 Square feet (298 Square Meter) (356 Square yards) by Tenth designers, Alappuzha, Kerala. Ground floor : 1884 sq.ft. First floor : 1324 sq.ft.